Harry: The first time we met, we hated each other. Harry: I did too, I remembered you. The third time we met, we became friends. Sally: We were friends for a long time. Harry: And then we weren’t. Sally: And then we fell in love. What does it mean when two people arrive at the same place but their versions of the courtship, moment by moment, are entirely different? 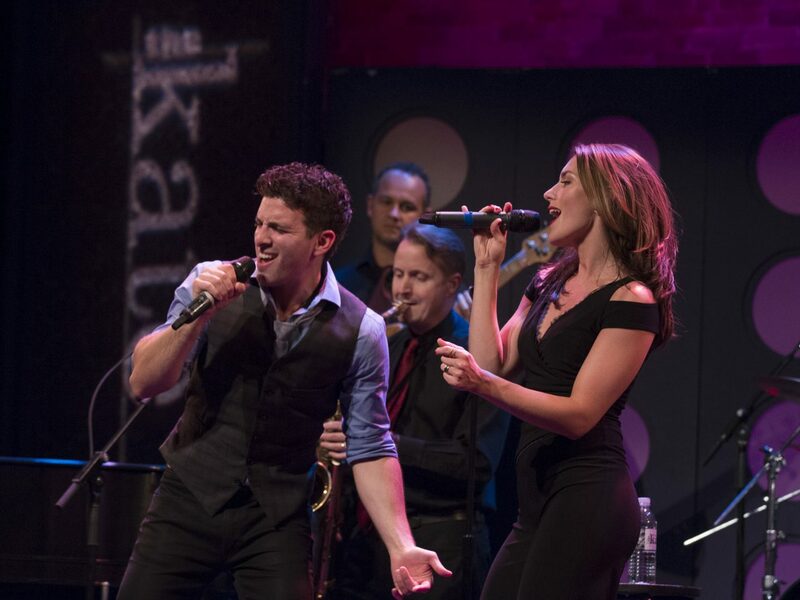 In a (mostly) true and hilarious re-imagining of their platonic…errr…romantic journey (with inspiration from their favorite film), “Look at it My Way” gives Broadway’s Jarrod Spector and Kelli Barrett the chance to recount the story of how they ended up together—from each of their often wildly divergent perspectives. Fresh off the heels of their award-winning concert debut (This Is Dedicated: Music’s Greatest Marriages) where they were hailed as a “crackerjack duo of performing powerhouses”, this “palpably simpatico” Broadway couple uses the best of pop (Prince, Peter Gabriel), rock (REO Speedwagon, The Beatles), soul (Stevie Wonder, Ray Charles), and even a little musical theater to discover what happens when you see through the eyes of someone who likes you a whole lot more than you like yourself. Watch Jarrod and Kelli’s full episode here and go to aptonline.org for local public broadcast information.